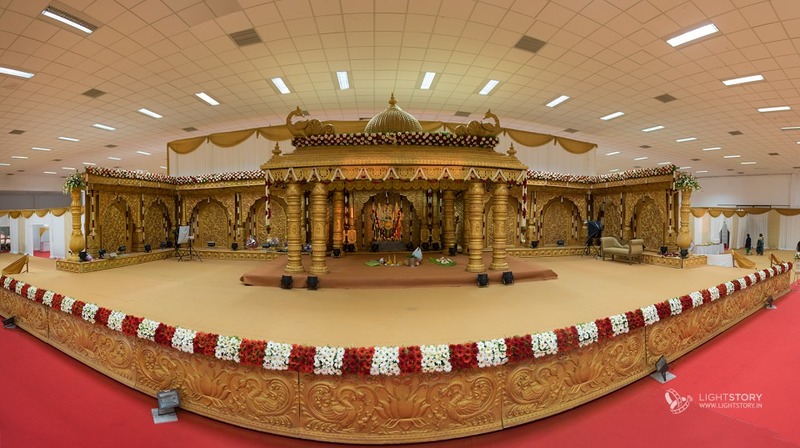 Amazing wedding decor, well organized weddings, enthusiastic, very-much-in-love bride and groom, close knit families who truly enjoy the wedding celebration are magic ingredients for a dream wedding coverage. 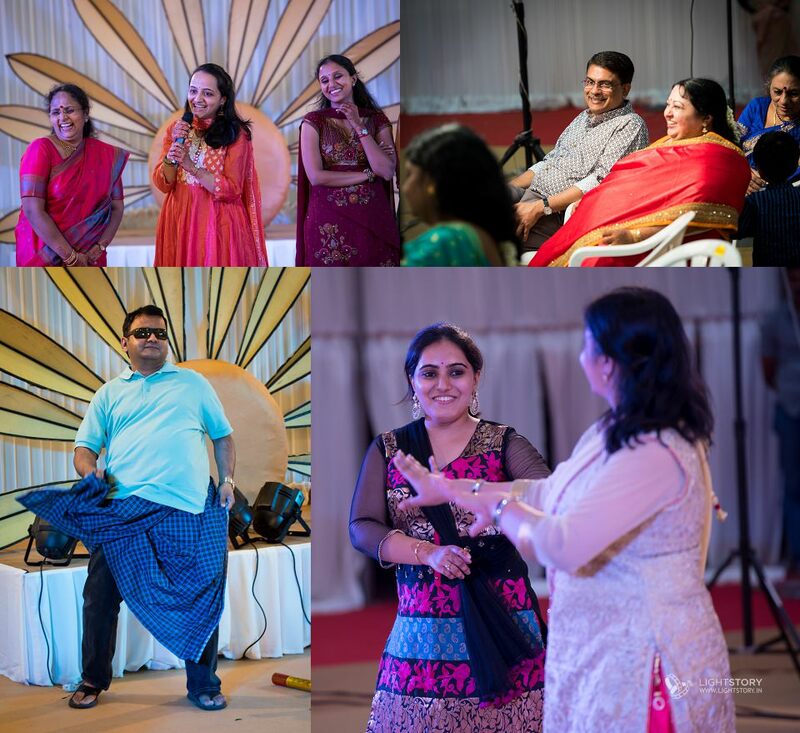 Most memorable weddings have one or many of these, but once in a while I get be part of a wedding where all of these come together, making everything look magical. 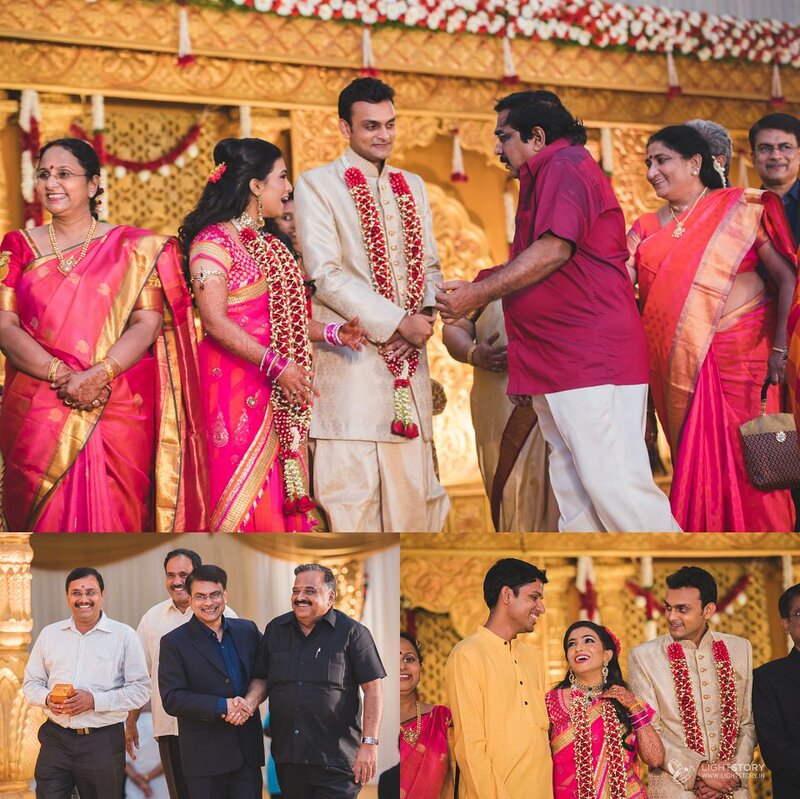 The wedding decor was done by Babu, and I think he did a splendid work - the decor was grand, while being elegant. 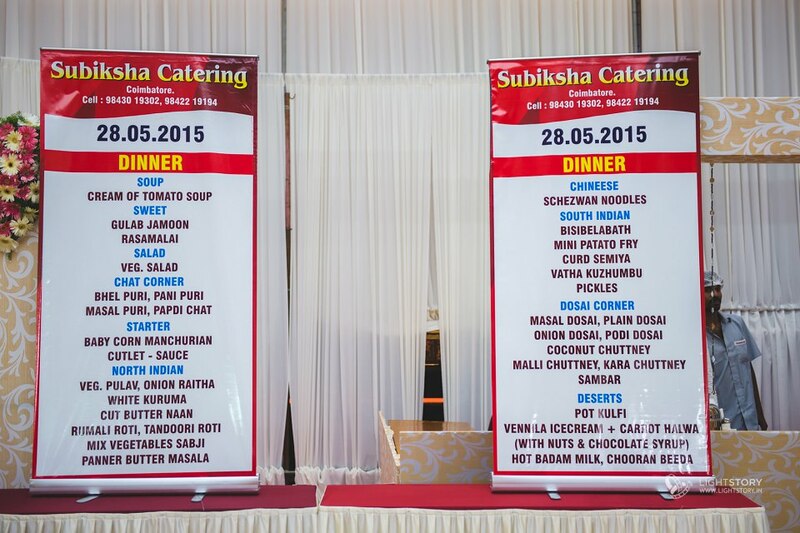 Food was served by Subhiksha Catering of Coimbatore and they had done a great job of it. 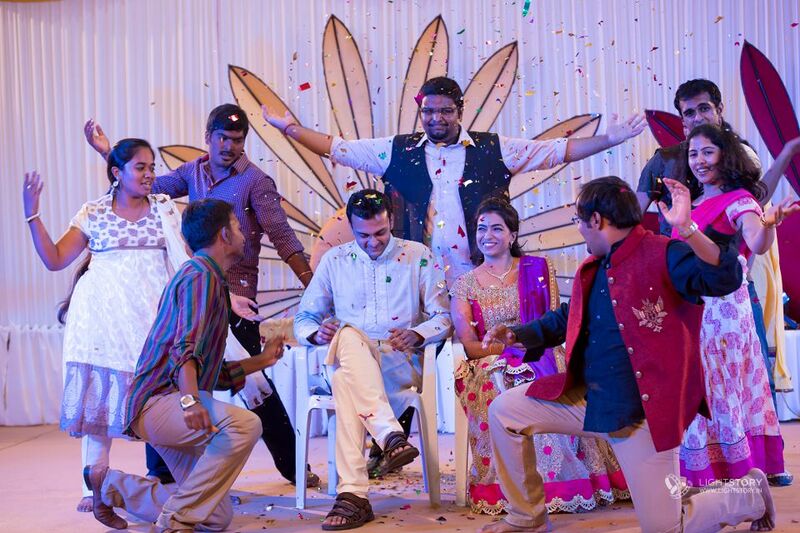 Day 1 was a cozy gathering of family and friends for Mehendi. 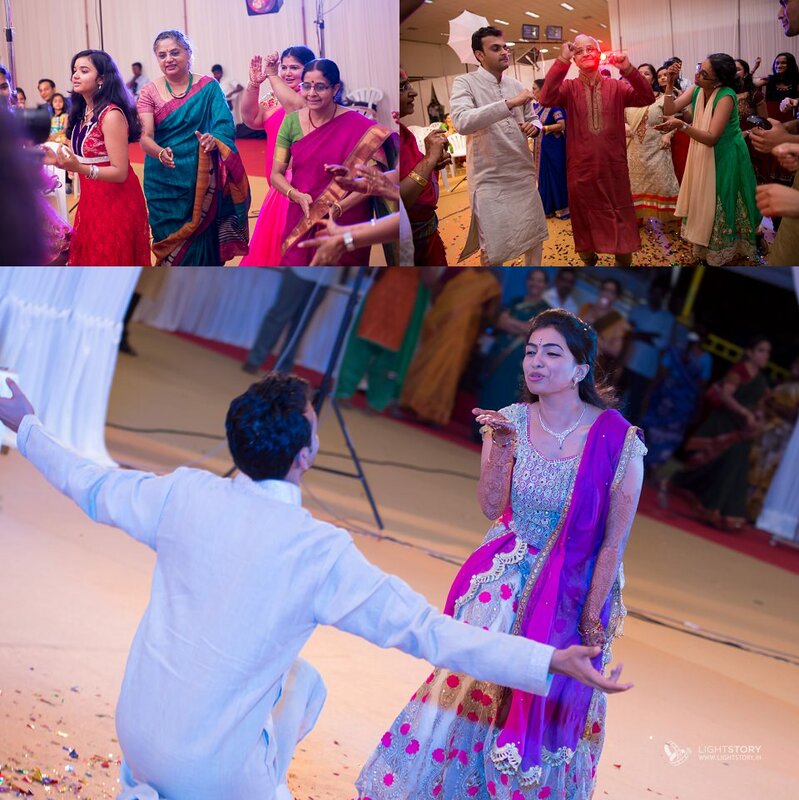 Mehendi was followed by Sangeet and it was a very lively event with a packed dance floor. 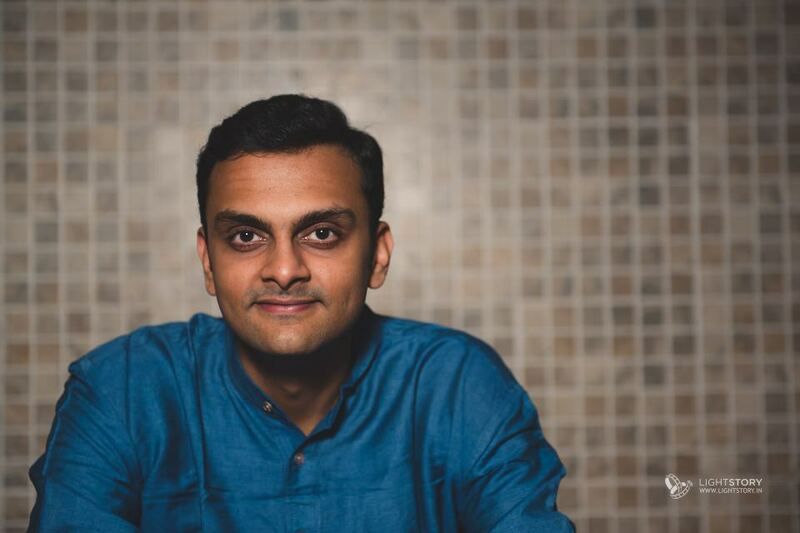 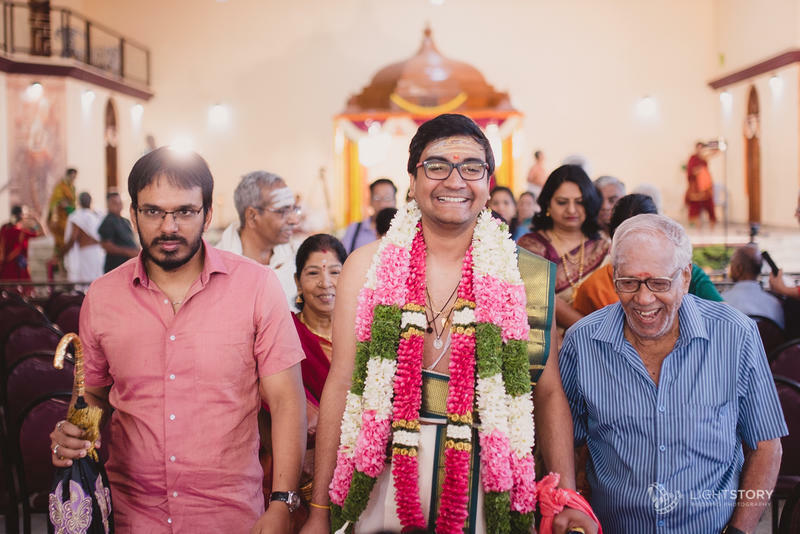 Viratham, engagement and reception were on day 3, and I loved the wardrobe the couple had chosen with elaborate love and care. 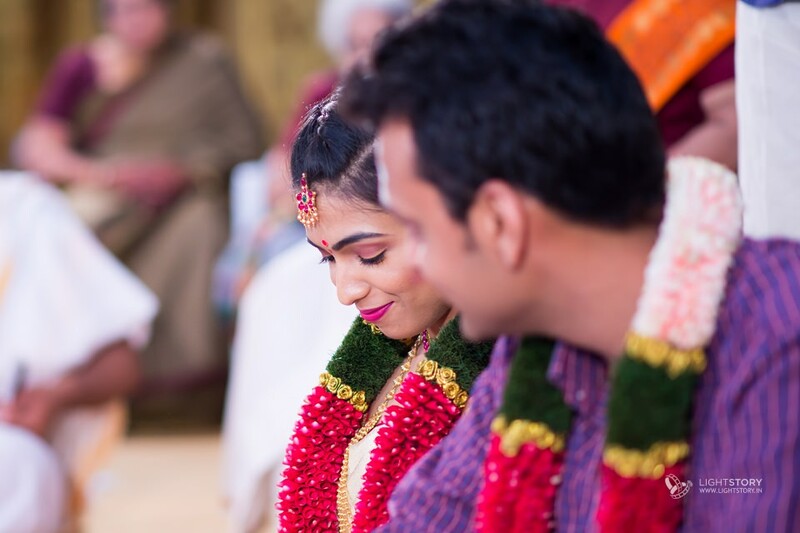 Poorna looked lovely in brilliant pink, green and red hues complimented perfectly by Vibushan in elegant and dashing teal, off white and beige outfits. 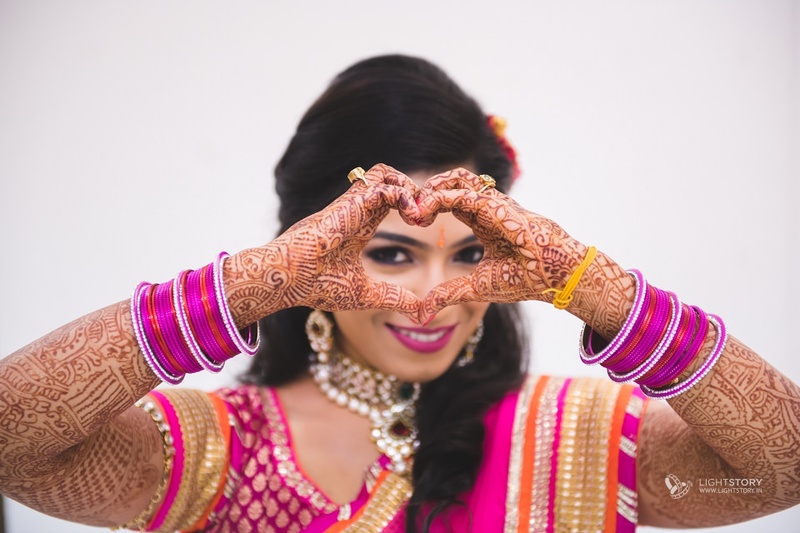 I have shared more details on the stylists, bride and groom's wardrobe and the jewellery, at the end of this post - love the couple's enthusiasm and the attention to detail. 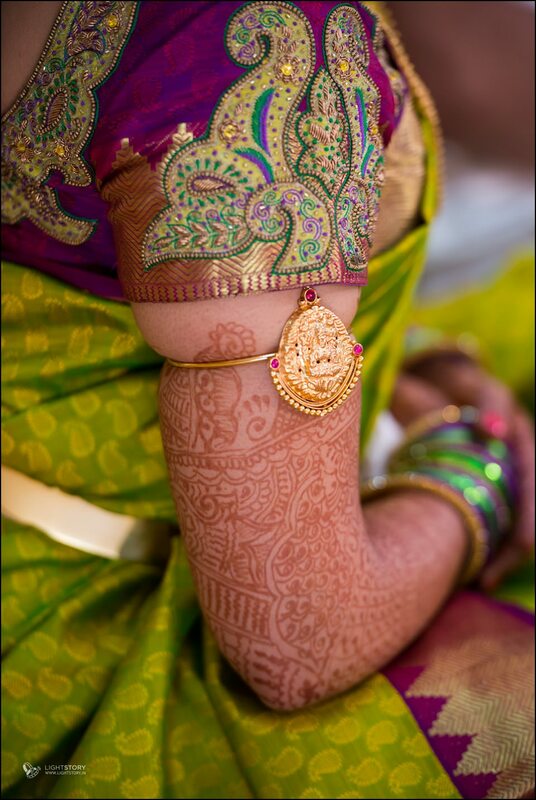 The artful Mehendi work was done by Munira & co from Coimbatore. 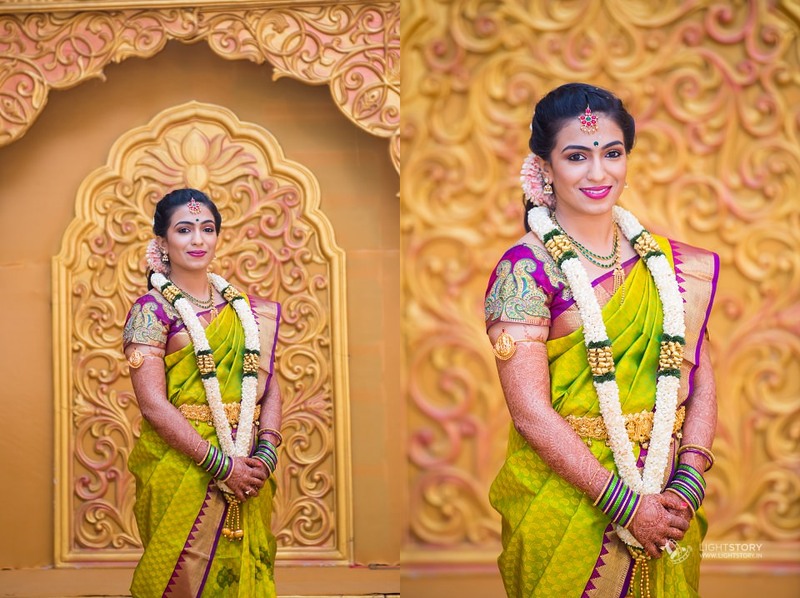 Poorna's flawless makeover for Viritham, Reception and Muhurtham was done by Kashish, a makeup artist from Bangalore. 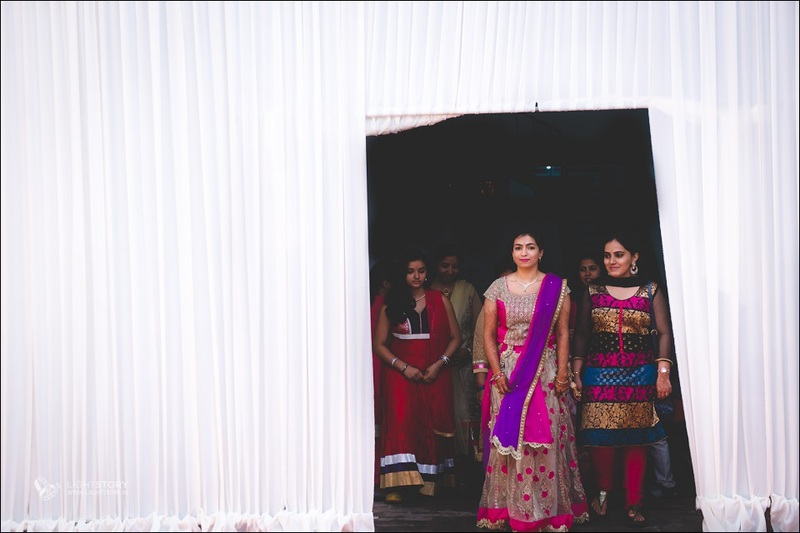 The ornate purple, pink and cream lehenga was made to order by Aspirations, a boutique run by Ranjani and Shalini at RS puram Coimbatore. 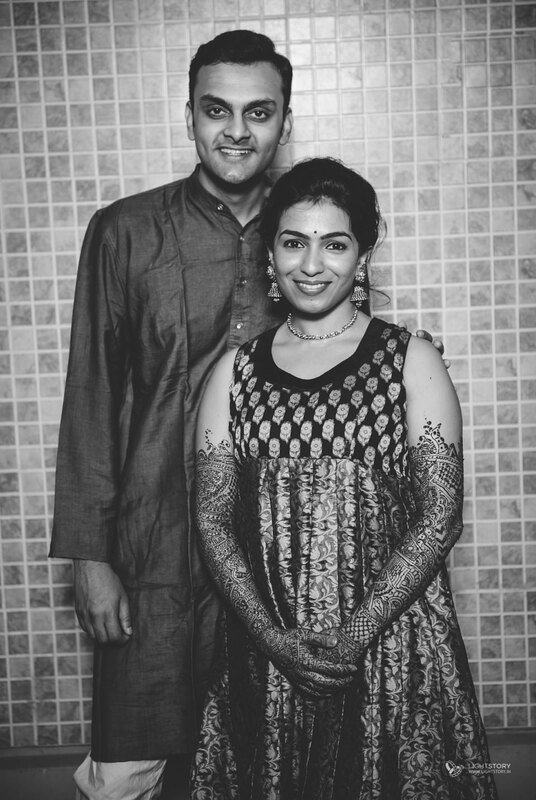 They come heavily recommended by Poorna, and incidentally they have done all of her designer blouses too. 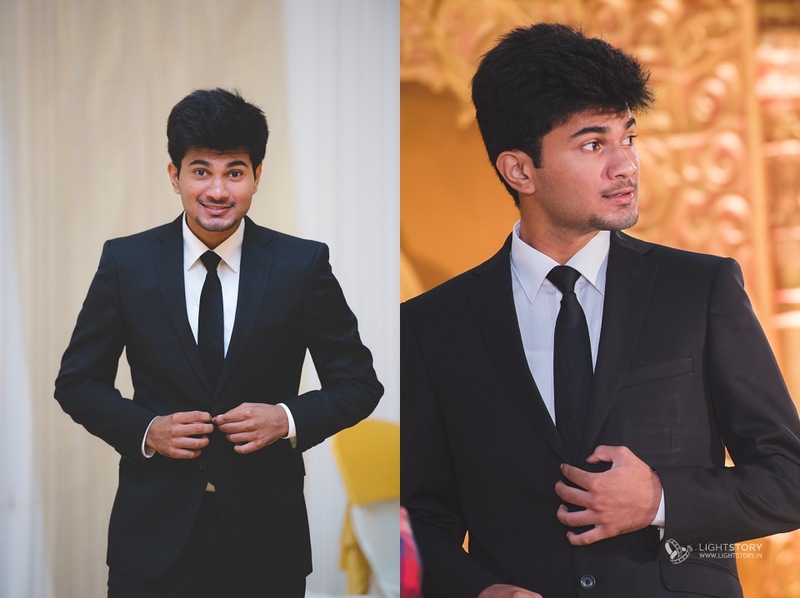 Poorna paired the outfit with a beautiful diamond set from Kirtilals. 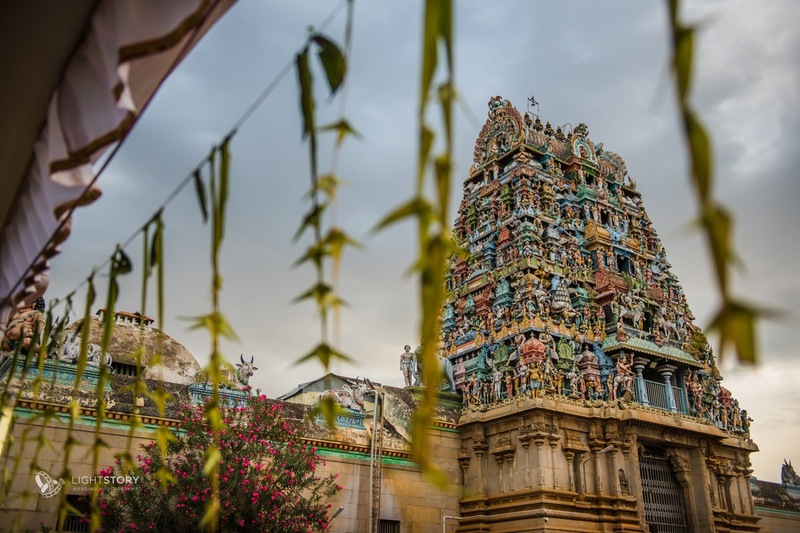 The very attractive parrot green and purple saree for Viratham was from Tulsi silks, Chennai and the emerald set was from DAR jewellery, Coimbatore. 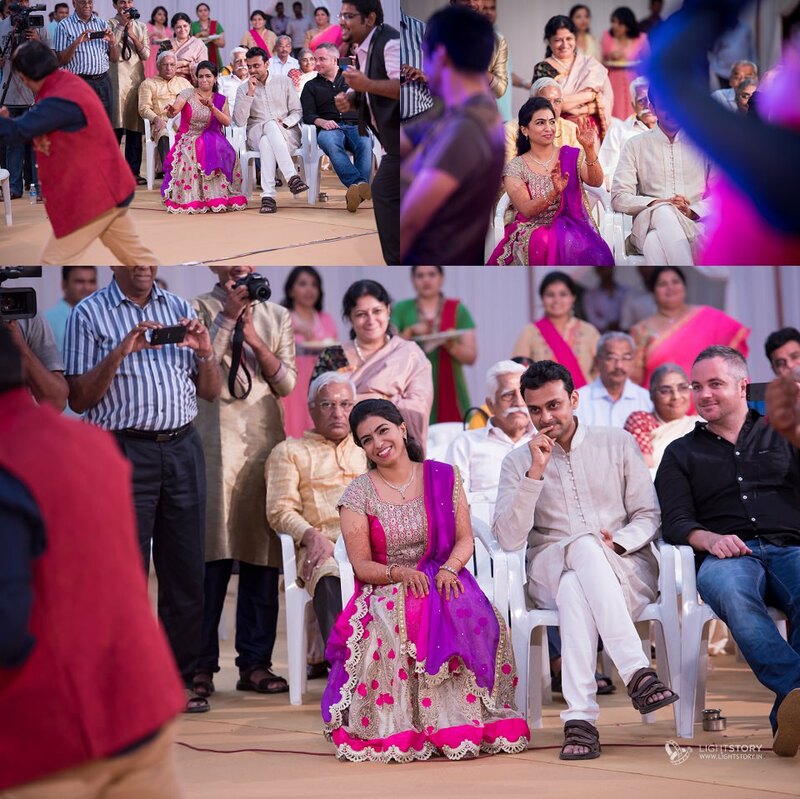 Poorna also wore a classic off-white and maroon saree, a combination her dad loves. 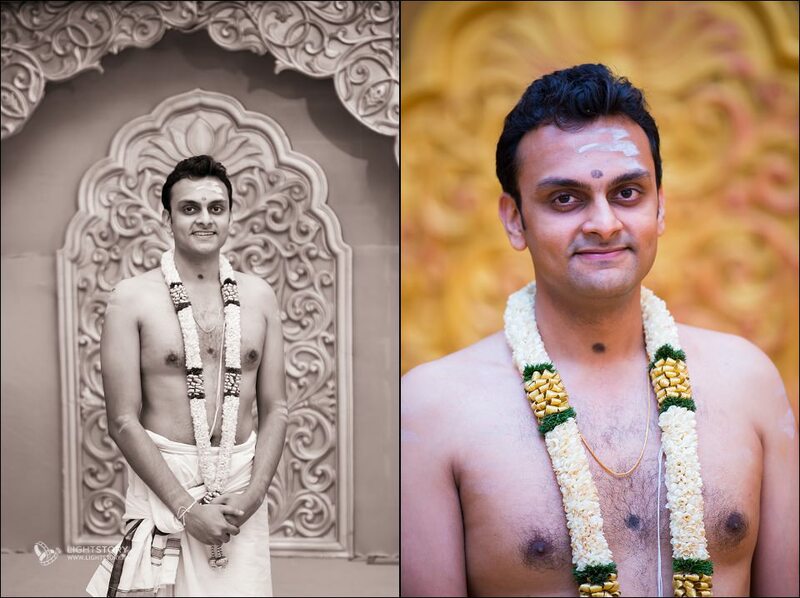 The saree is from Lakshmi Silks, Coimbatore. 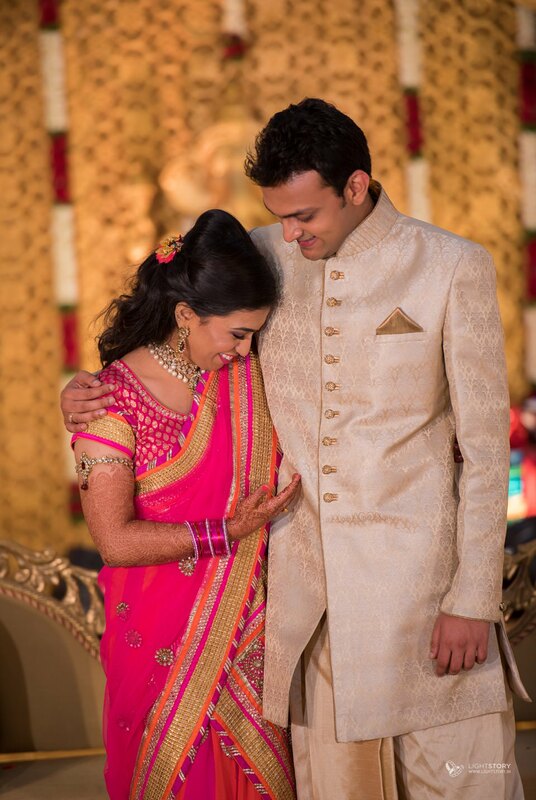 Poorna's reception outfit was from Fulki Boutique, Bangalore, a place she says is a must visit for brides. 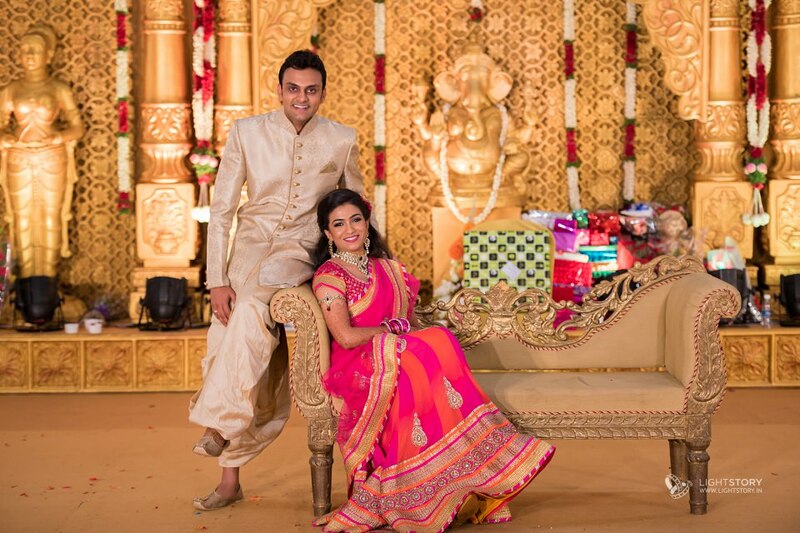 They also made the red dress that Poorna rocked in the couple shoot. 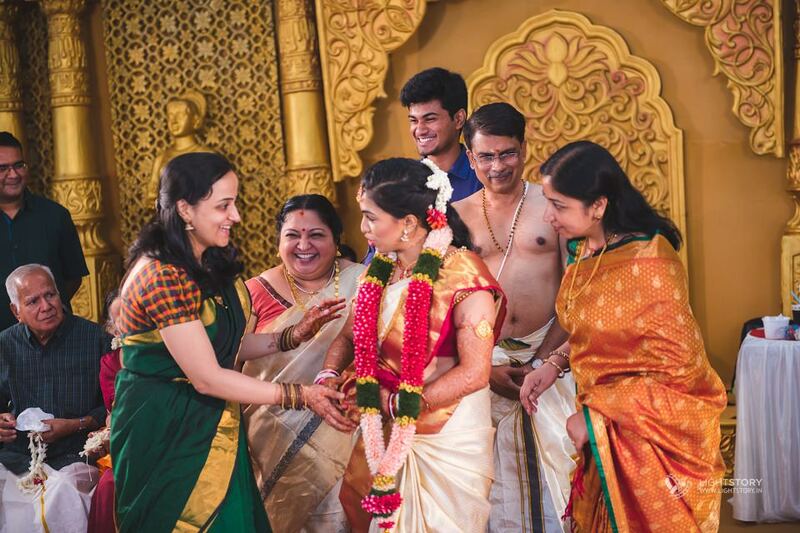 The wedding jewellery was from Prudlrs, Coimbatore.